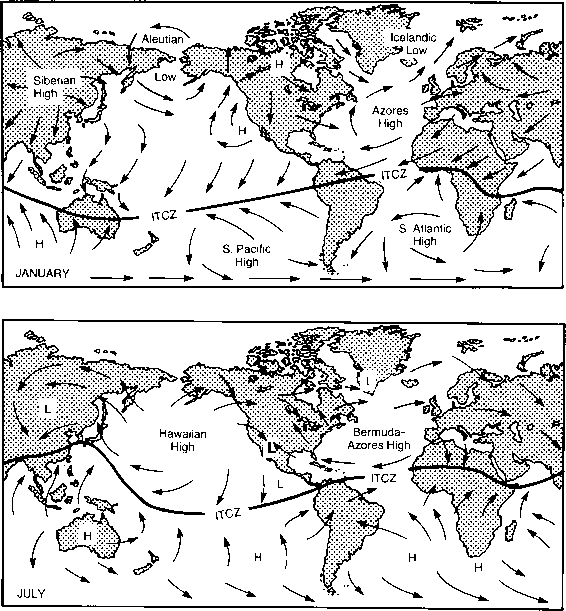 1972), and, although relatively low in total volume, they affect ozone strongly, particularly above 40km. 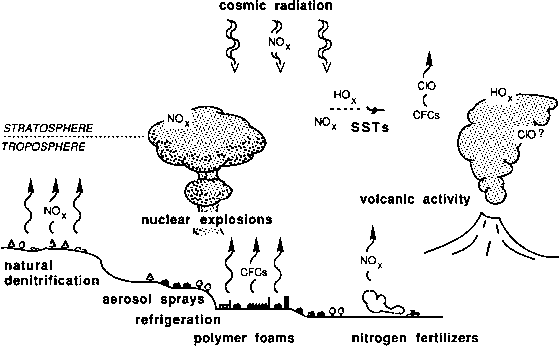 Hammond and Maugh (1974) have estimated that the HOX group, through its catalytic properties, is responsible for about 11 per cent of the natural destruction of ozone in the stratosphere (see Figure 6.3). 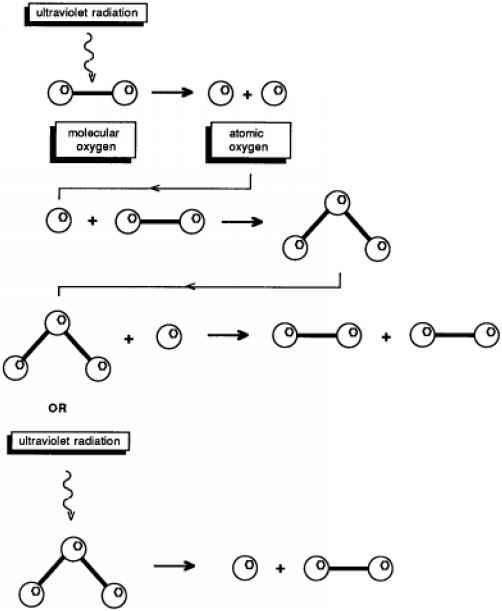 The odd hydrogens lose their catalytic capabilities when they are converted to water vapour.